Yep, it’s June, so time again for another batch of my old photos from ten years ago. It seems that for some reason I didn’t take very many photos in June 2004. 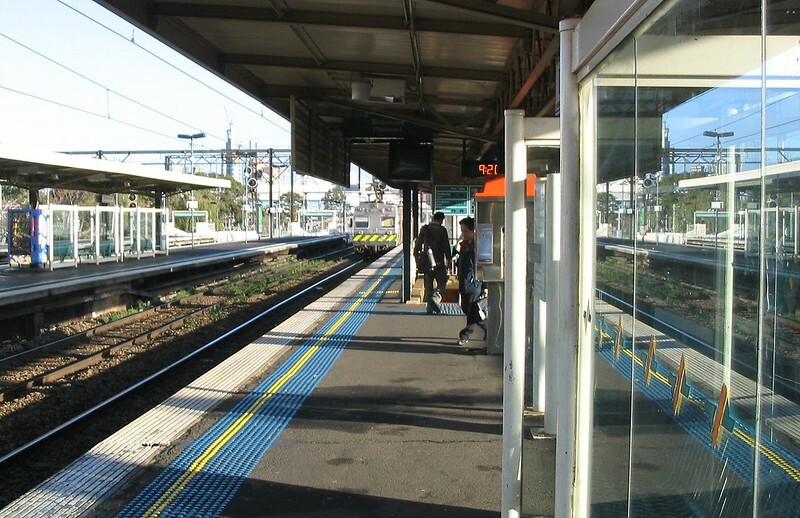 A Hitachi train pulls out of Richmond station. Note the markings of the then five-years defunct PTC on the shelter glass. Other than that, it hasn’t changed much. 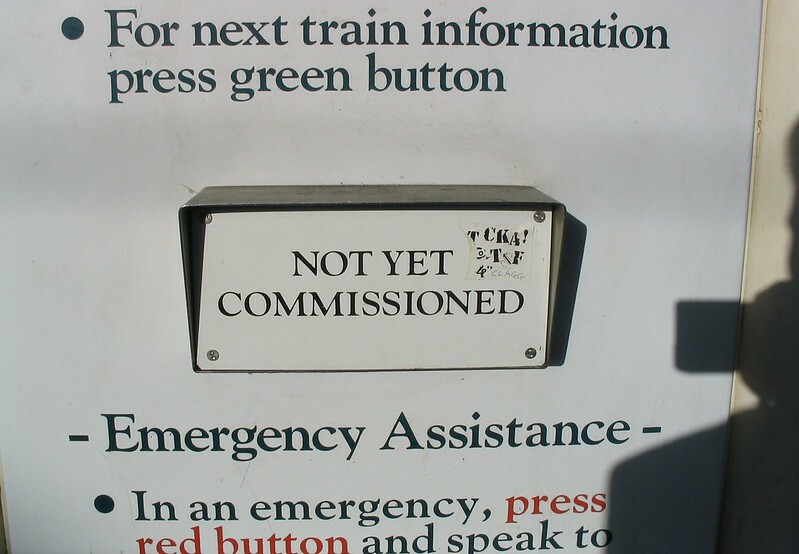 Up until that point, red (emergency) and green (next train) buttons hadn’t been provided at Richmond, despite having been deployed at most stations almost ten years earlier. Around then, they decided to install them. 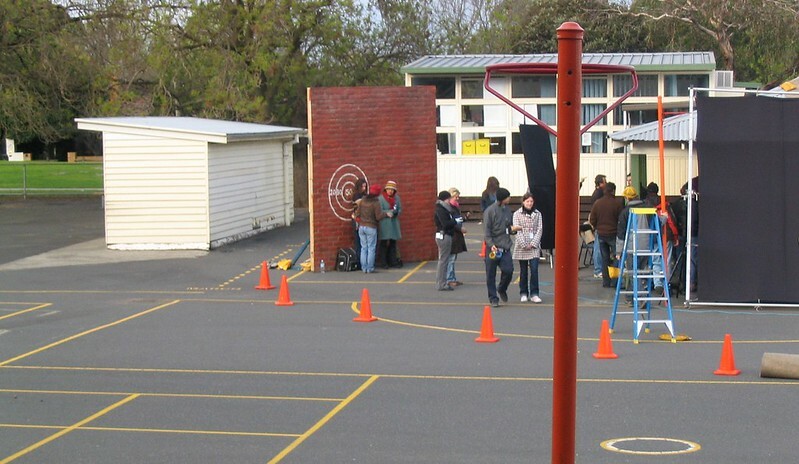 For a day or two, they were filming an advertisement at the kids’ school — we think it was for the Cancer Council, on being sun smart. For some reason, they felt the old main school building’s red bricks weren’t good enough, so brought along their own brick wall. I’ve had a quick look; haven’t yet found the ad online anywhere. 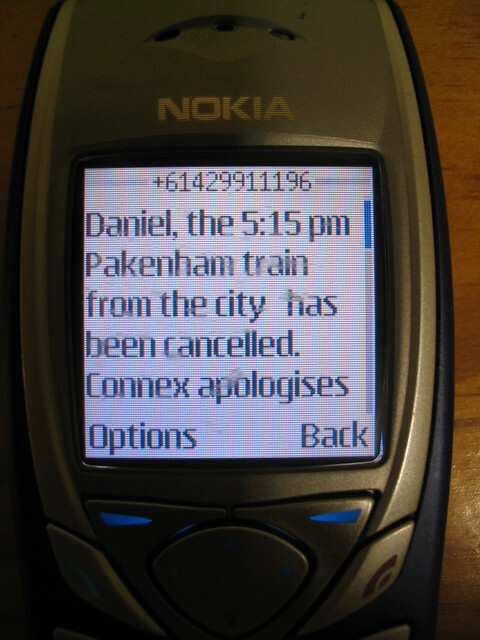 Back when you could get SMS alerts for train cancellations — they ran from 2001 to 2013 — here’s one from then operator Connex, on my old Nokia phone of the time. 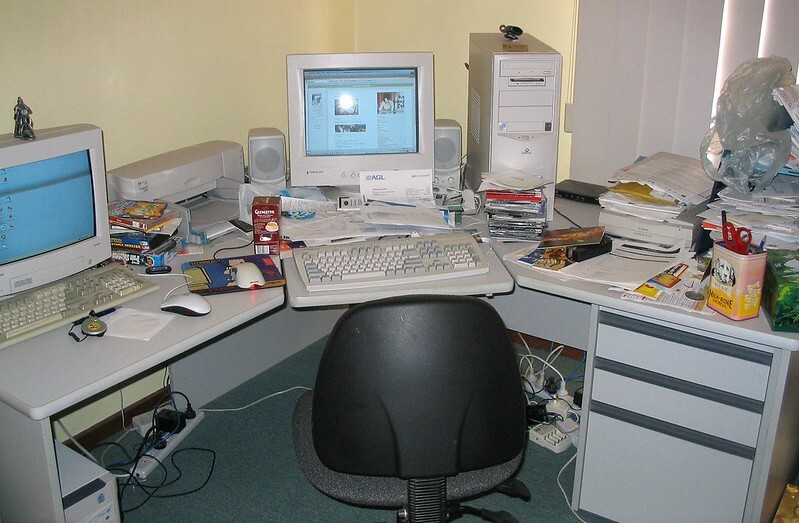 Finally, this is what my desk at home looked like in 2004 — the photo was taken for this post, which has pop-up captions. The computer (a Gateway, from when they still traded in Australia) I’d got back in 2000. Almost everything beige/grey in the photo has been traded for black — including the desk. They brought their own wall! Hirarious. Because your kids’ school didn’t look enough like a school so they invented a wall. When my kids’ primary school was used for an advert they imported the school kids (with different school uniforms) but at least the school grounds were the same. I’m guessing brining the wall was for lighting. It means they can move the wall as the sun moves and keep the light looking consistent throughout shooting. I like how when you click on different objects you get taken to different websites on that old post. Obviously most the links are dead (over 10 years will do that!) but the “big computer” takes you to Mitsubishi, the printer takes you to HP. and the mousepad takes you to Dilbert! *bringing the wall. No need to brine it, walls don’t need to be salty. Interesting seeing the Eureka Tower half way along in the first shot.